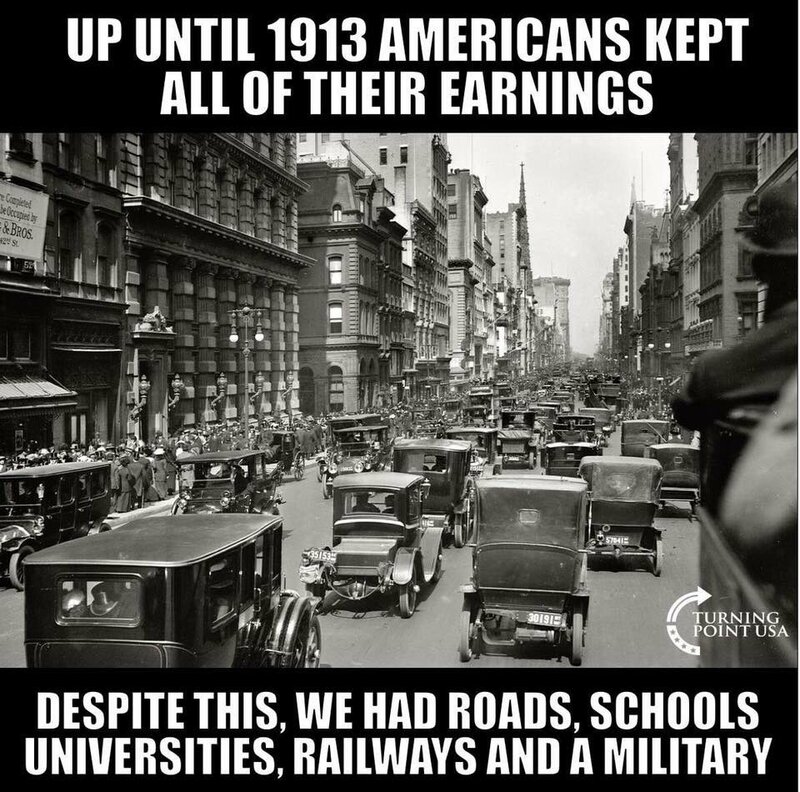 This is true, now we are taxed up to the hilt and have worse roads and worse schools than we did back then. In case you didn’t know, tariffs made up 95% of the US government’s revenue until 1913, at which point they switched to gaining money through taxing you. It’s no coincidence that this isn’t taught in schools. That's a good point and it's not taught in schools. Schools and universities today in America are liberal indoctrination centers. There's 105 million Americans retiring at the same time which means the US government will lose a lot of their income tax revenue. Trump has no choice but to use tariffs to keep government revenues flowing. China is not going to take it sitting down the US still owes them $2 trillion. A good chunk of those 105 million may find themselves not-so-retired. Be on the lookout for the phrase "Universal Basic Income". Many Americans believe that tariffs are un-Republican and are against them. I think many of these pundits and propagandists, who call themselves unbiased reporters, are really in favor of free trade. That's what big business wants. So they will label anyone who comes in between them and increased dividends unrepublican. I remember one pundit years ago talking on his radio program about how offshoring of jobs is good for the economy. But he never went into detail. He just kept making that statement over and over. (That's when I stopped tuning into his program.) To me that just seems like it is an attempt to brainwash: no substance, just repeating a mantra over and over, hoping it sinks in. There is no way that transferring jobs to another location (outside of the country) is good for anyone except for the shareholders. By definition, it decreases the number of jobs available for those who must labor for a living. Yet these pundits are so busy teaching these lies because they are in it to enlarge their pocketbook. When will the sabbath be over, so we can make the ephah small and the shekel great? 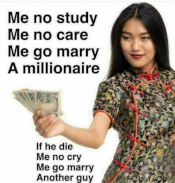 So we can make slaves of the people? Is it true that there was no inflation before 1913?